Record Description CLIFF YEW. This isolated yew tree grows on the top edge of a high scar or cliff above the eastern side of Swinnergill. 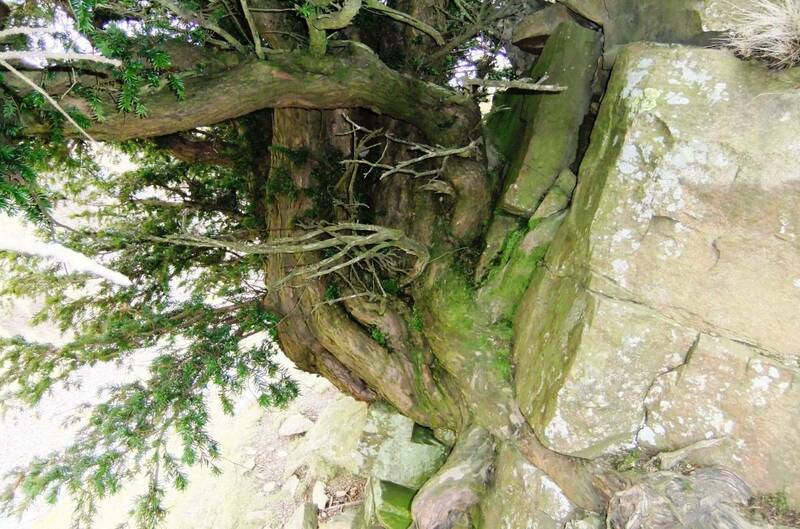 At 470m AOD this yew is at the highest recorded limit of yew in Britain (Pearmain,D.A. and Corner,R.W.M. 2003. 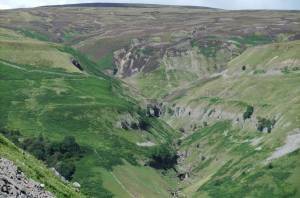 Altitudinal Limit of British and Irish Vascular Plants.) 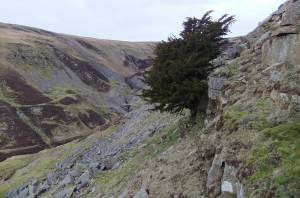 The existing recorded highest yew is also 470m AOD at Purple Mountain, Co Kerry, Ireland. However the previous record is on the far more congenial western, atlantic side of Britain. Conditions on this west facing NE Pennine cliff are much more continental and extreme. The girth of this self or wind coppicing tree is 2.5m and the rate of growth at this altitude and exposure conditions will be extremely slow. 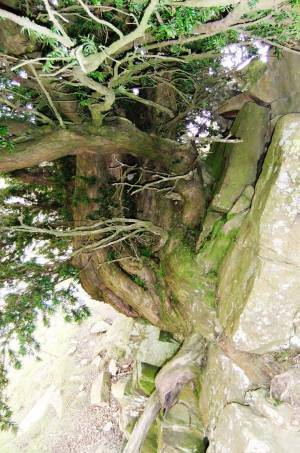 The exposed root system indicates loss of the cliff face from expansion of the yew tree roots which were originally within the rock face. Common / Notable Species Rowan the only other tree here. Tree: Position / Form / Status Cliff tree. Isolated. 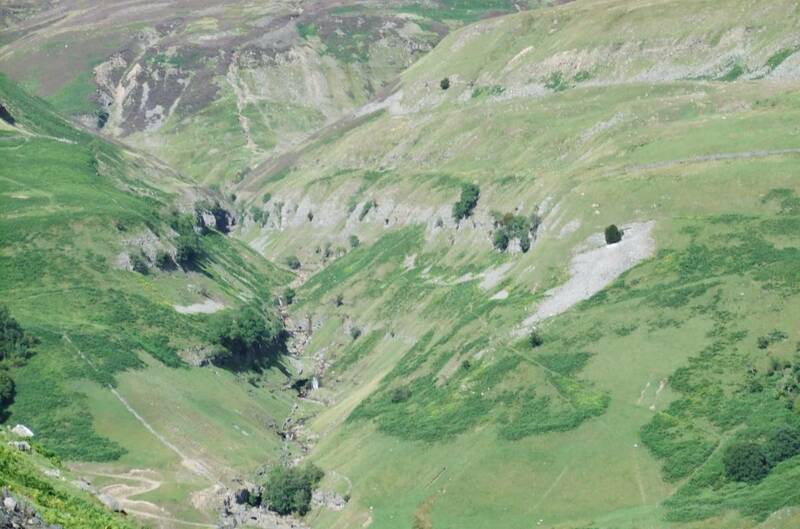 Image 1 Description Telephoto of Swinnergill from Kisdon. 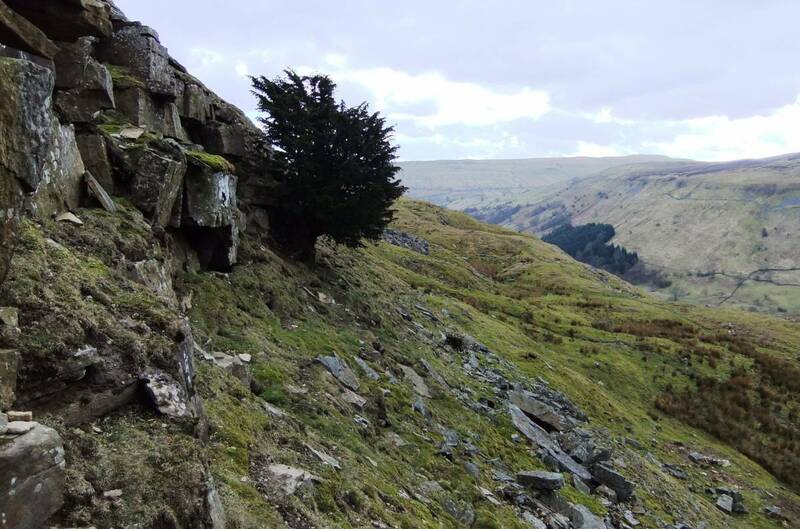 The Swinnergill Yew is the isolated yew at the top right of the photo. Image 2 Description Telephoto of Swinnergill from Kisdon. 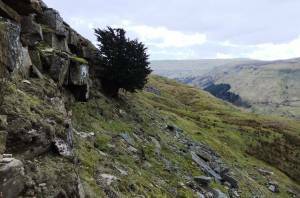 The Swinnergill Yew is the isolated yew at the top centre of this photo. Image 3 Description The Swinnergill Yew is on a low cliff above the footpath. 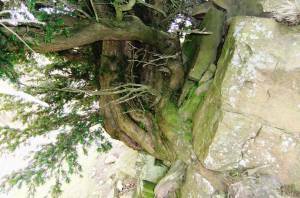 Image 4 Description The Swinnergill Yew is on a low cliff above the footpath. Image 5 Description The Swinnergill Yew. Detail of the self coppiced trunks and exposed root. Image 6 Description The Swinnergill Yew. Detail of the self coppiced trunks and exposed root. 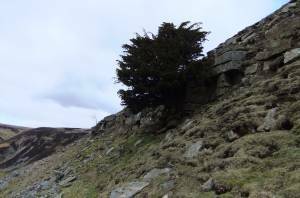 Image 7 Description The Swinnergill Yew is on a low cliff above the footpath. View southward.